It’s good to share. Surely sharing services has to be more efficient? Standardised services and economies of scale have to reduce costs. But what about tailoring to needs and allowing flexibility? What about the risks of service failure? We at the NAO are often asked by public sector organisations whether they should join in shared services. The answer is … it depends. There is a wide range of functions that can use shared services, as shown in this map of local shared services arrangements. The private sector and local authorities typically claim that shared services deliver such good savings that they break-even on their investment in under five years. To date, central government and its arms-length bodies have not enjoyed such success. Our recent report Shared service centres focuses on two independent centres set up by the government in 2013 for its back office functions, including HR, finance and procurement. The centres have achieved some benefits, but not what was planned, and after delays to migration to new systems, several organisations have withdrawn. We found that government still needs to learn some of the lessons we identified in our earlier and wider reviews of the same programme, in 2012 and 2014, and of other shared services, such as our investigation into civil service pension administration. 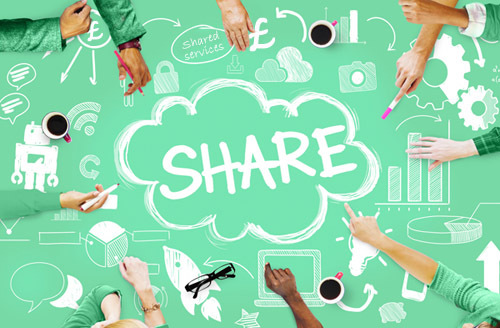 What should organisations consider when deciding whether to join shared service arrangements? 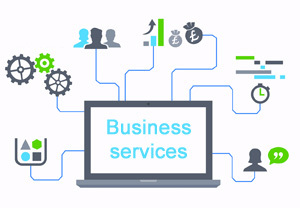 As well as straightforward cost and efficiency benefits, there can also be other advantages to sharing services. Having a concentrated specialism can increase expertise. And having data together on one software platform can allow quicker and greater insights, which might be missed if individual pieces were looked at in isolation. However, there are inevitably trade-offs in moving to a shared services model. Reaping the benefits can require sacrifices. The answers to whether and which shared services are right for your organisation depend on your circumstances and needs, your alignment with other organisations involved, and the quality of the service’s management. Standardised processes for all clients saves costs – but users lose some flexibility to choose and change solutions (e.g. software) and the ability to customise processes (e.g. specific levels of approvals for certain purchases). Is this a sacrifice you’re content to make? For shared services to work, the organisations sharing them must have things in common – and must be able to collaborate. Can you work with the organisations involved? When public sector organisations come together to agree operating platforms and other aspects of service design, it’s crucial to have good consultation on the requirements and design, and clear leadership (central or delegated), accountability and governance. Is this in place for the shared service in question? Cost savings are achieved through economies of scale – which means there needs to be enough organisations out there willing and able to sign up. Are those leading the service proving effective at getting organisations to buy in? You should also consider other areas of your business, such as the status of your existing service and software contracts, how suitable service providers are, and fit with your wider strategy. All of these different questions and factors should add up together to help answer the original question: to share or not to share? I welcome your comments. Feel free to contact us if you would like to discuss the question of shared service centres or related areas. 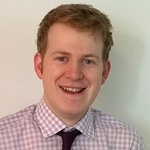 About the author: Iain Forrester is an Audit Principal who works in the Cabinet Office and cross-government value for money team and is part of the NAO’s Commercial and Contracting community of practice. Topics of past reports he has worked on include BBC radio, rural broadband and grants across government.